Whether you’re looking for a technology upgrade, including our unique managed service offering, detailed information on substrates or simply to order replacement inks-we’d be delighted to help! We offer a range of large format printers and peripherals for small to medium duty applications in the graphics market. We work closely with market leaders HP, Epson and Canon to ensure our portfolio is as comprehensive as possible. We pride ourselves on taking an unbiased, pragmatic and consultative approach which means our advice is always based on sound, practical foundations. We will help you to weigh up the pros and cons of any potential investment, and fit a solution to match both your application and budget. With regard to the question of budget / capital expenditure, we can also offer a compelling managed print service for large format printers, incorporating equipment, inks and service in a single agreement; fixing your costs for the duration of the contract. Please call for further information on this exclusive opportunity and to book an appointment with a consultant. Our media experts have a wealth of knowledge and experience to help you navigate easily through the often complicated world of large format media. We offer straightforward, accurate and honest guidance to ensure you get the best out of all available media and choose the right substrate for the application at hand. We hold stocks of competitively-priced, genuine inks for fast turnaround (next day / same day service) and, with access to an extensive distribution channel, we will work tirelessly to fulfil your requirements at all times. 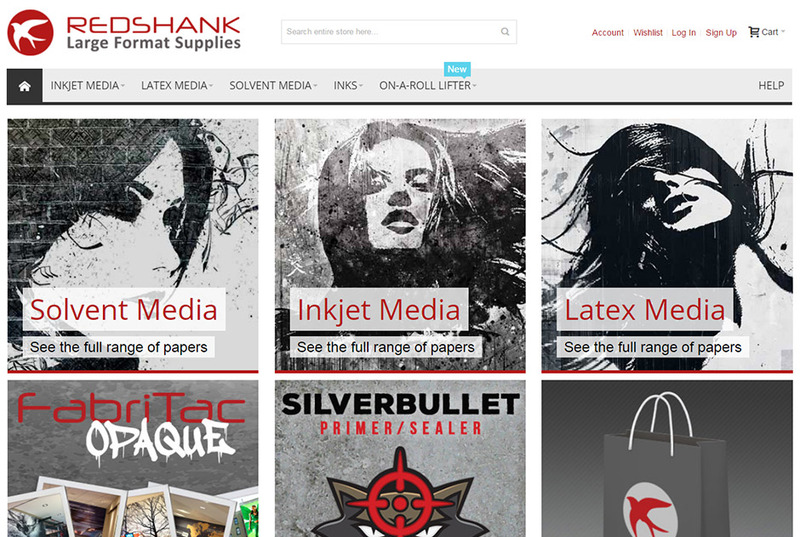 To see the exhaustive range of products our Large Format team can provide you with, click the button below and have a look at our online shop! Our large format team are on standby, waiting for your call from 9am to 5-30pm, Monday to Friday. If you have any large format related issues whatsoever, don't hesistate to give our team a call!